So you think you might like to volunteer with wildlife? 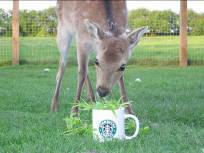 South Essex Wildlife Hospital receives hundreds of enquiries every year from people wishing to get involved and help. Of course we are very grateful for offers of help, however, it is very important that the right person is given the correct type of job to do. Working for a charity is very much like working for any other employer – except that you don’t get paid! We have the same rules and guidelines for liability for your welfare and to health and safety issues. Working for our charity is frequently hard work, so only applicants prepared for this need apply. Helping injured animals is often (nearly always) emotionally upsetting. Do you think you could deal with an emergency in a calm and caring manner? We have many tasks that need to be undertaken. Volunteering at an animal rescue centre does not only involve the cleaning and feeding of the patients, but also more mundane tasks, all of which have to be performed to aid the smooth and organised running of our hospital. You do not have to have any previous experience with animals, but it does help. Many of our staff are students on work placement schemes but currently we are unable to offer positions to anyone under the age of 17 years or with a criminal conviction. The following information gives further guidance but of course common sense is the most valued attribute! We ask you to consider that you would be representing our charity, any unprofessional behaviour or inappropriate advice will reflect badly on our organisation. The level of dedication is often underestimated, however we have several members of the team who have been volunteering for many years and thoroughly enjoy the demands of the job! You will need to be able to work under pressure and be prepared ‘to get your hands dirty’. We look for applicants of a casual but smart appearance who are able to work as part of a team and get on well with other people but who can also work unsupervised. You may also have to take on a ‘rescuers’ role and collect a casualty so being able to drive is also a necessity. You need the ability to deal with members of the public and other organisations at the hospital and on the telephone in a polite and professional manner. You will need to be physically fit and have the ability to follow instructions and advice. Volunteering at the hospital for a year will give you the opportunity to become fully conversant with all the procedures, as wildlife and its problems have a tendency to be ‘seasonal’, i.e. 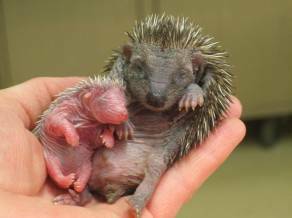 baby birds will only be found in spring and summer, hibernating hedgehogs in the winter. You will need to be ‘realistic’ when considering the prognosis of casualties. Many of the patients have to be put to sleep as they are too badly injured and to keep them alive would cause them to suffer, the main objective of our charity is to prevent this. Many animals will have broken or missing limbs but still require you to deal with them without being squeamish. Human contact with wildlife is usually kept to a minimum, you will not be required to cuddle, stroke, talk to or kiss the patients! Work is performed on a ‘rota basis’. The work schedule is kept in the office and you are asked to complete this with the times and dates you will be attending in advance in order that we are not too short of staff or have too many people working at the same time. Care assistants are provided with a polo shirt (uniform) to wear. The wearing of jewellery is discouraged for safety reasons. Although we appear to have many spare pairs of wellies, you may wish to bring your own. Separate footwear is required inside the hospital (e.g. comfortable, clean trainers, not your outside footwear), to prevent contamination and to keep the floor clean – one of the main jobs in the hospital! Refreshments and chocolate are provided but you may wish to bring a packed lunch. If you are very lucky, you may even get a chance to eat it! • CLEANING! Pens, cages, bowls, buckets, floors, walls, sinks, equipment and patients! Everything needs cleaning! 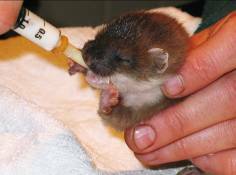 • Feeding; this includes recuperating animals and orphaned creatures. • Tidying; storage space is at a premium and things left lying around can cause accidents. Stacking newspapers, folding blankets and reorganising cupboards for example, helps the hospital run more smoothly. Rescuers attend the aid of a casualty. Although members of the public are encouraged to deliver smaller casualties to the hospital themselves, many of our calls are from elderly or disabled people. Most of the ‘jobs’ you will be asked to help with will be the rescue and conveying back to the hospital of foxes, sometimes however you will need to rescue swans, badgers and deer. Every rescue situation is different. Often the casualty will be collapsed and easy to collect, other times you may have to chase after it! Rescues can often be inconvenient, obviously wild animals are unable to choose a time to be found injured, nor the weather conditions or location and normally turn up an hour’s drive in the opposite direction at 3 a.m. in the pouring rain when you have flu. Not all our rescuers are available for night-time call outs, but it is important for us to know when you are and are not available. You will need to be fit and practical, many casualties are caught in netting, trapped under floorboards or in some other inaccessible place and of course do not welcome your assistance at a time when they are already in pain and distressed. Training is given although nothing can really prepare you for the experience of ‘learning on the job’. A frequently overlooked but vital activity, fundraising is essential for the very existence of the hospital. Currently, volunteers already involved in hospital duties often man fundraising events. This tries to avoid all the fundraising pressure on any one such individual. 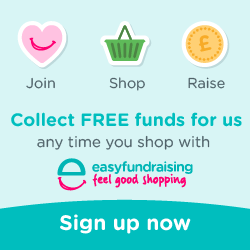 It is hoped that we shall form a fundraising team who would be able to get together regularly and brainstorm ideas for new events to meet the demand of fundraising! If you feel you would like to get up early and carry out a boot sale for us, or attend/organise an event without dealing with the cleaning and rescuing side of volunteering we would welcome you ‘to the team’. Many people, who wish to support the work we do, offer financial assistance, whether it is a one-off event, i.e. a raffle at work or regular contributions. We have a membership of approximately 2,000 people, the annual subscriptions of which provide a regular income. However with increasing demands on our resources and extra work and improvements to the new hospital improving on this current revenue is the only option if the charity is to maintain and improve upon the crucial work of rescuing and rehabilitating wildlife. The more we do to help and save wildlife, the more it costs. We desperately need fundraisers to help. • Raising awareness and encouraging support for South Essex Wildlife Hospital and the work that we do! Our patients appear to have no respect for the accommodation we provide for them; bolts break, light bulbs pop, fuses give up, thus the damage and wear and tear to our facilities constantly needs attention. Occasionally a patient will require housing that we simply don’t have or have run out of so finding a volunteer with good carpentry skills at short notice is often difficult. Gardening is also another area of volunteering, which we are often lacking in willing volunteers. We can provide basic tools and of course materials. 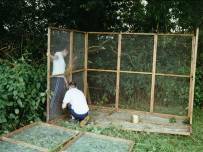 There may be repair or rebuilding tasks in other locations, for example the construction of fox cub rehabilitation pens. The standard of workmanship needs to be good, in order to avoid our hospital looking like a ramshackle animal sanctuary! We undertake the ‘training’ of many people already working in animal industries that are likely to come into contact with wildlife. Veterinary nurses in particular like to come and get some hands-on experience and practical advice that can be put to good use at their surgeries. 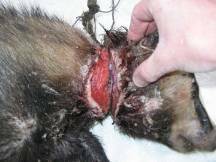 We also have several qualified nurses and veterinary surgeons that will attend the hospital to deal with specific emergencies when the need arises, but naturally we’re always hopeful in attracting the interest of more professionals who are prepared to give up their time to help wildlife casualties. The charity is keen to reimburse volunteers for travelling expenses, however in the case of veterinary surgeons offering their expertise, we have a budget provided to ensure a vet is paid at locum rate for their time. Before you fill in the application form, please read HERE to see the volunteer/student role at South Essex Wildlife Hospital. You can also download a copy of this in word format to read carefully before applying.